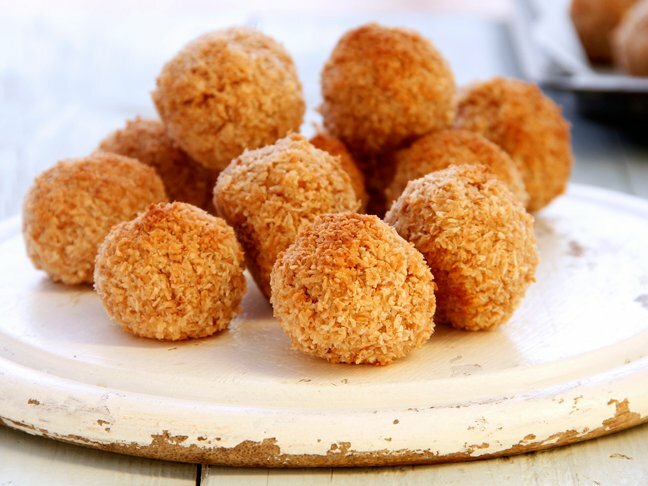 For appetizers and hors d’oeuvres, it’s nice to know what you’re digging into before you get started! 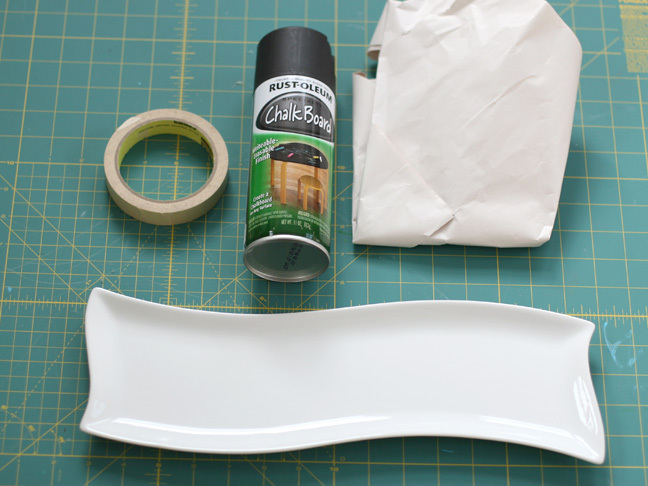 This chalkbaord serving platter makes entertaining and labeling really easy and stylish. 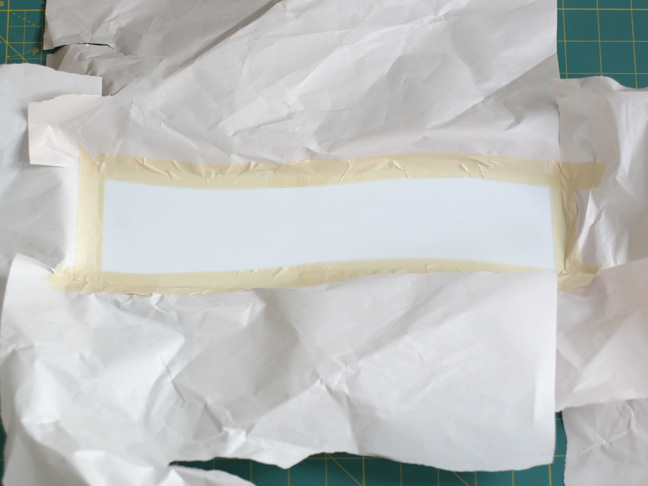 Step 1: Tape about an inch from the edge, leaving an edge open to stick the scrap paper. 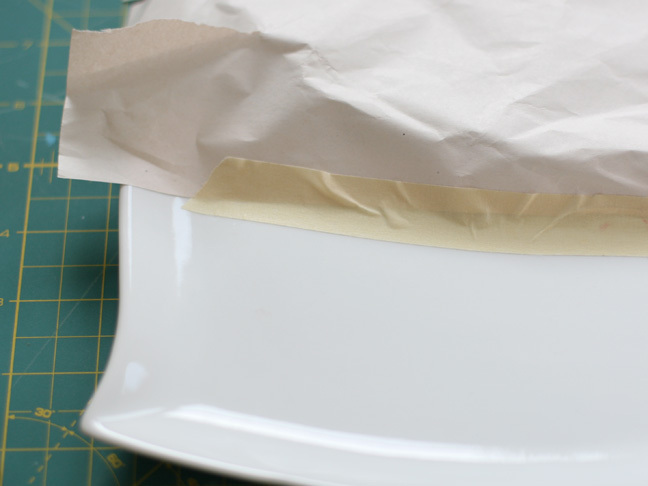 Step 2: Continue taping all four sides the same way. Remember that the part that’s exposed will be painted. 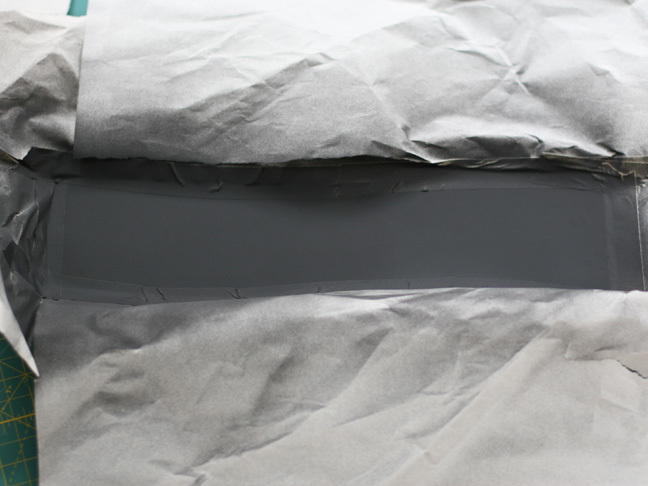 Step 3: Take it to a well ventilated area (preferably outside) and apply an even coat of chalkboard spray paint. Let dry completely. 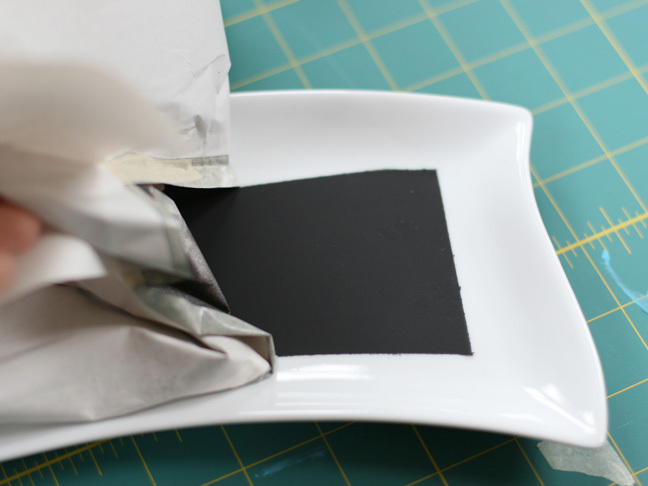 Step 4: Peel off the tape to reveal the chalkboard paint underneath. 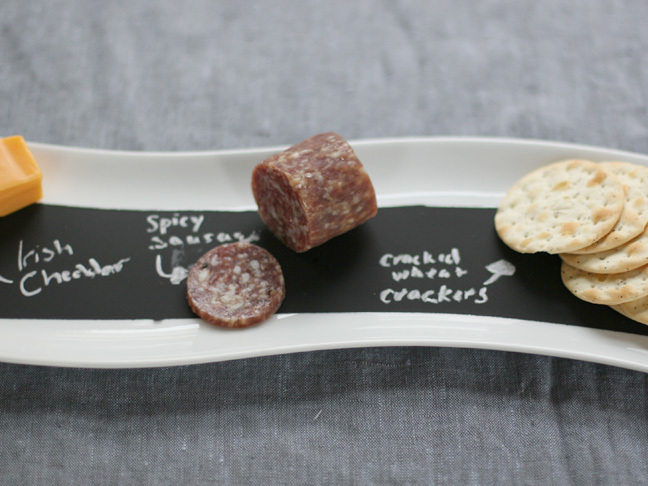 Write labels with chalk for your next dinner party!